The Remo+ RemoBell S offers 180-degrees of vertical and horizontal viewing angles and two-way talk functions. The Remo+ RemoBell S offers a range of homeowner friendly features for $99. 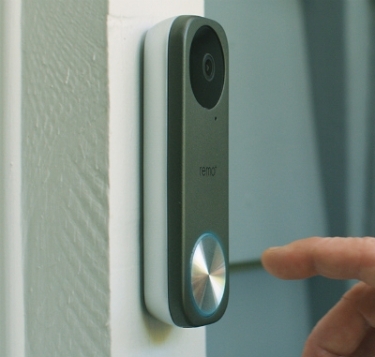 Door cameras are one of the most popular product categories in today's smart home market. Adding an affordable door camera to its lineup, Remo+ has introduced its $99 RemoBell S DoorCam Smart Security Camera. Remo+ launched the RemoBell S alongside its new RemoBell W. The Livermore, Calif.-based smart-home company says the RemoBell S provides homeowners features such as a wider field of view, improved resolution, and motion-zone customization. "We developed the customizable features of RemoBell S, combined with the new hardwired connection, to offer enhanced security for our customers," says Paul Lee, managing director of Remo+. "Remo+ is all about making home security simpler. We want to give homeowners smarter tools so that they have greater control over what's going on in and around their home." 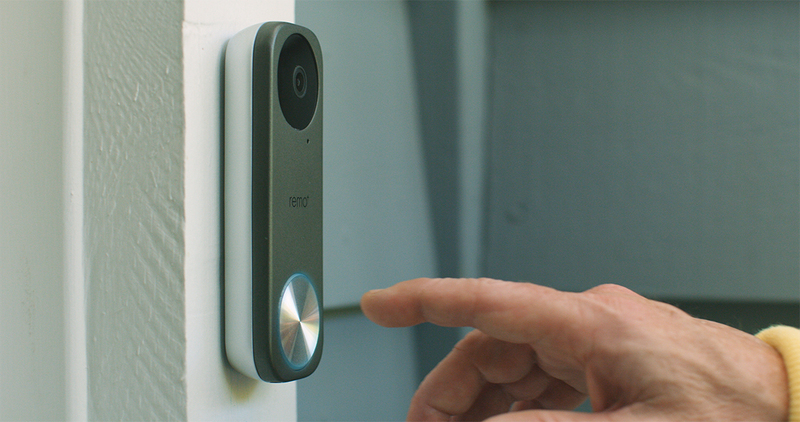 Priced competitively, the Remo S DoorCam comes with free 3-day cloud storage, and homeowners can set the Remo S to send notifications when movements are detected in their selected motion zone such as the porch or walkway. Remo+ says the Motion Zone capabilities of the Remo S eliminate the problem of "irrelevant motion alerts from passing cars or pedestrians on the sidewalk." The Remo S also includes 180-degree vertical and horizontal viewing angles, which is the widest viewing angle of any Remo+ product. The DoorCam's live video view also comes with a dewarping display option. In addition, the Remo S provides full HD recording capabilities, two-way talk, clear night vision, on-demand view from nearly any smart device, "bank-level" encryption to help ensure secure functions, weather resistance, and integration with the Amazon Alexa and Google Home voice-command platforms. Moreover, unlike the company's other products that utilize battery power, the RemoBell S requires power from existing doorbell wiring. The RemoBell S operates at voltages between 16- and 24-volts AC to power its fast motion detecting.